(From top left) Pre-holiday meal at Prezzo in Glasgow the night before we flew to Tenerife. Obligatory wing shot to show we were going on holiday. Pizza takeaway on our balcony because we were shattered. The Pull & Bear store in Siam Mall is pretty awesome. Boarding to go home again on Friday evening. Watched Scotland play in the pub on Saturday night then drowned our sorrows afterwards. This post is just going to be a quick update of that I've been up to for the past couple of weeks. A week past Monday we traveled down to Glasgow for some shopping and an early night before our flight to Tenerife on Tuesday. It seems like such a long time ago now but we had dinner at Prezzo before getting an early night because we were both shattered. We has 10 nights to enjoy in Costa Adeje, Tenerife. We stayed in the sunwing hotel where we spend our first holiday together in 2015. I don't want to go into too much detail now because I have lots of pictures to share with you this week. Our holiday was so chilled and we didn't get up to alot. The main part was visiting Siam Park which was as awesome as I remember it. There is a reason it was voted the world's best water park! Apart from that days were mostly spent at the beach and having nice meals. When we got our flight back home on Friday night I was sad to be leaving so soon. It was a very long day because we didn't get back until 2am so Saturday morning was lazy before we went to the pub to watch the football with Scott's parents. Afterwards we kind of drowned our sorrows so Sunday has been a lazy one too. 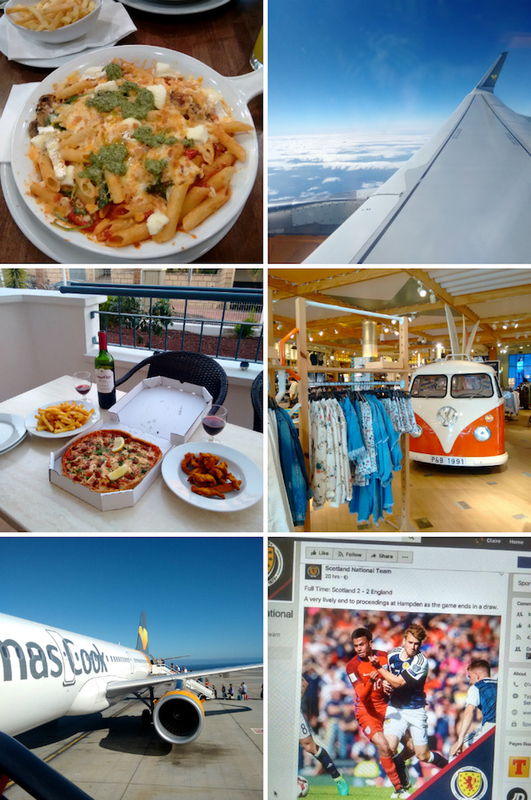 I'll be updating you all about my holiday next week so give me a follow on Bloglovin' so you don't miss the posts or see some of my holiday photos on Instagram now!